Some time ago I did this really enjoyable little waterdiorama with a hippo in 1/72scale. 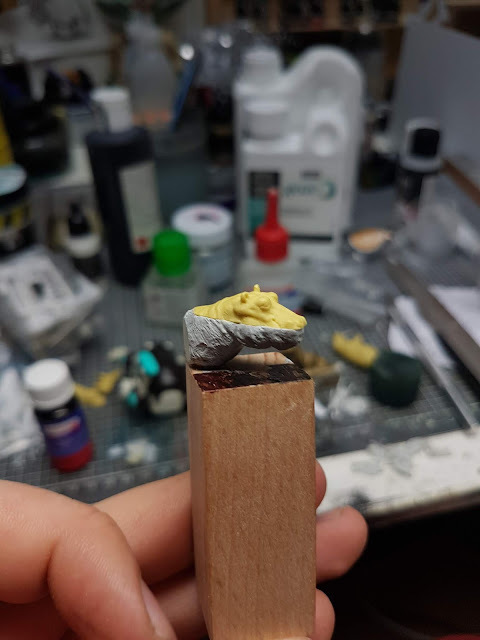 I want to take you thru the few steps that where necessary to create this little scene. Right after opening the box with these minis I knew I had to create a little scene with one of them. As you can see on the image bellow there are some versions that are cut in half where the waterline would be. 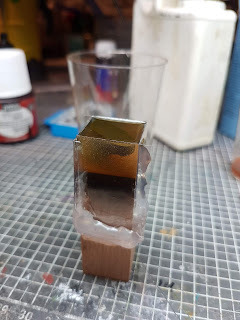 The fact,that that It comes in this shape already allowed me to go with a rather different approach to resin. 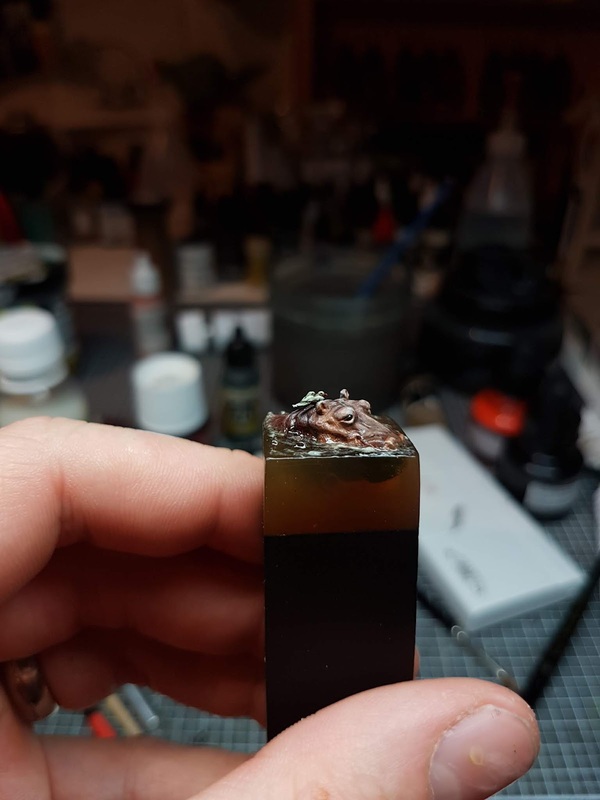 Resin? Never heard of it? 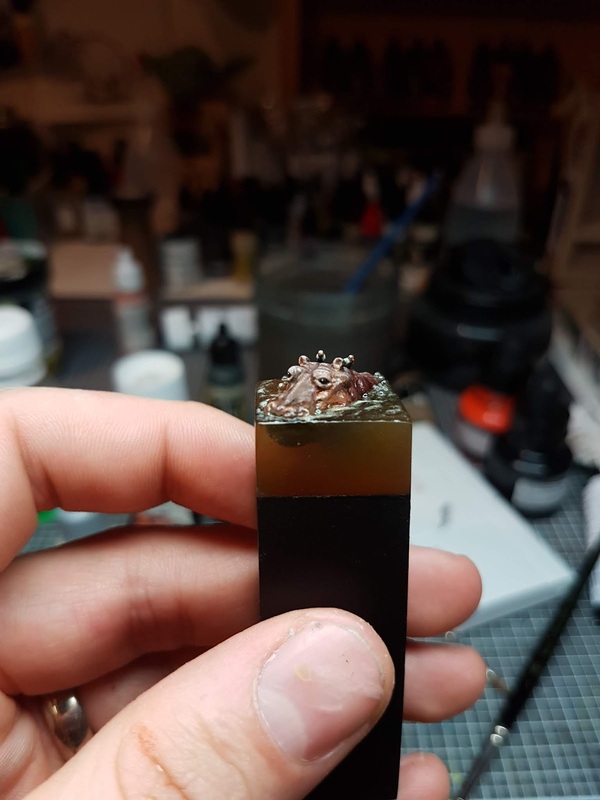 deal with resin creeping up the sides. 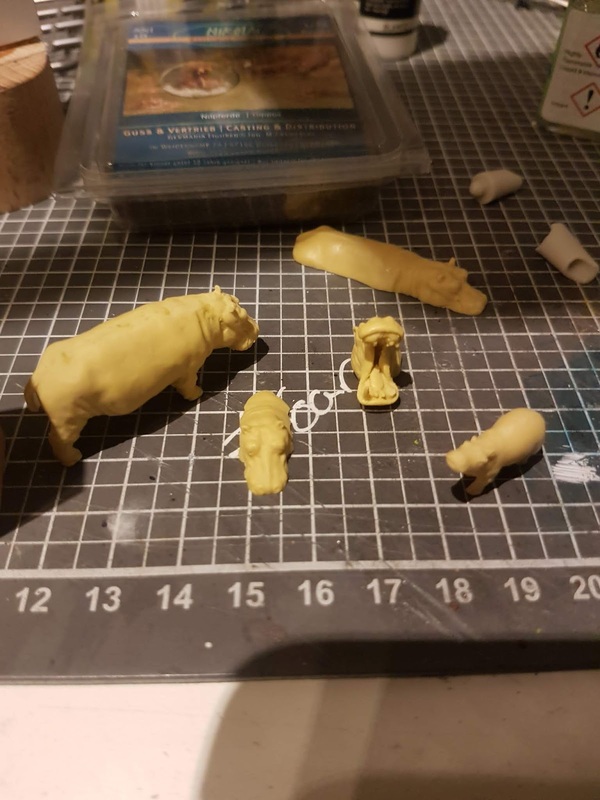 This decission required me to sculpt the whole body of the hippo. As my water would not be extremely clear I was able to just sculpt rough proportions and shapes. 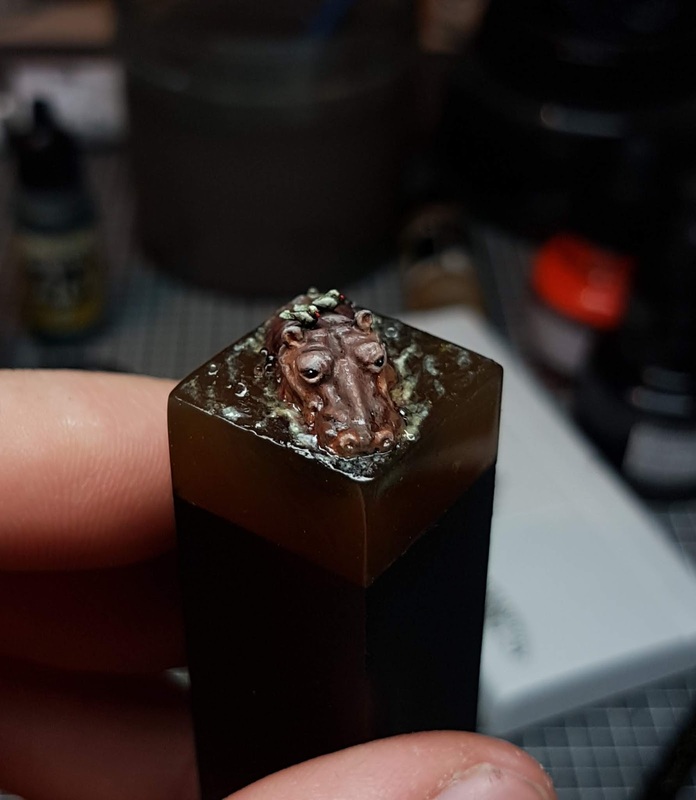 After the putty dried properly I painted the part that later would by submerged by water in different browns to simulate shadow. 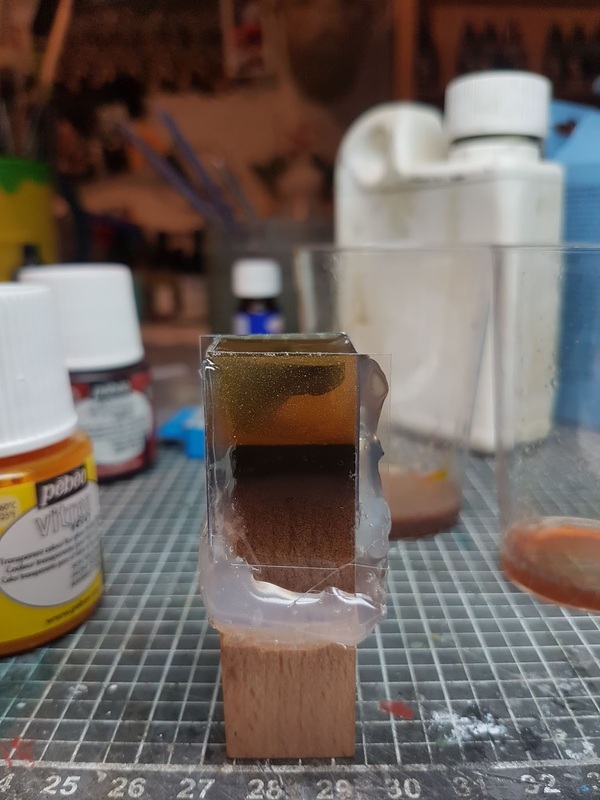 The resin itself, I poured in 3 sections each one of them got lighter and more clearer towards the surface. After got it right ( I restarted about 3 times ) I mixed the 3 sections carefully with a toothpick well aware to not destroy the gradient I created. 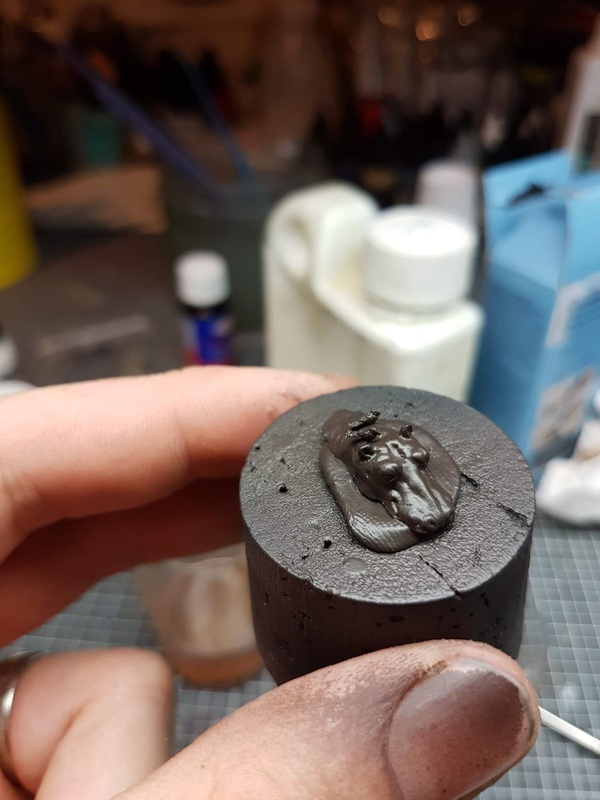 You can see that I poured the resin till about half a milimeter over the top of my sculpted form. This allowed my to go sand the top completely flat after the resin was dry enough. 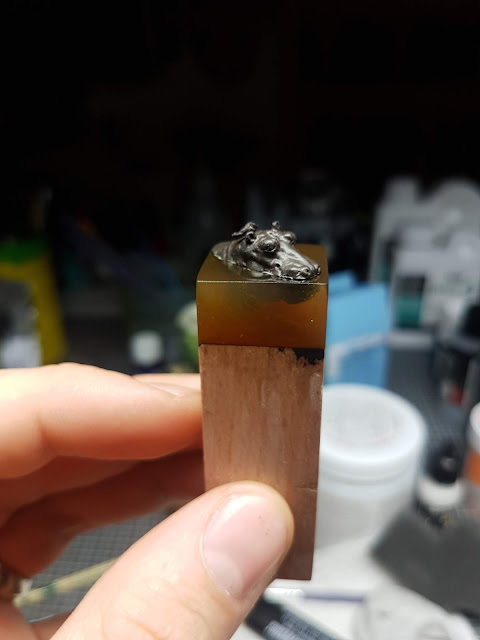 Exactly this step helped me to get rid of creeping resin on the sides. I then painted my lovely hippo always having my nature reverence photos near by. A proper Hippy needs birds on his back so I added two tiny ones, man I love these tiny birds! I hope you enjoyed the little insight of this project. 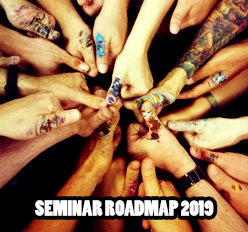 Feel free to discuss and ask questions in the comments.